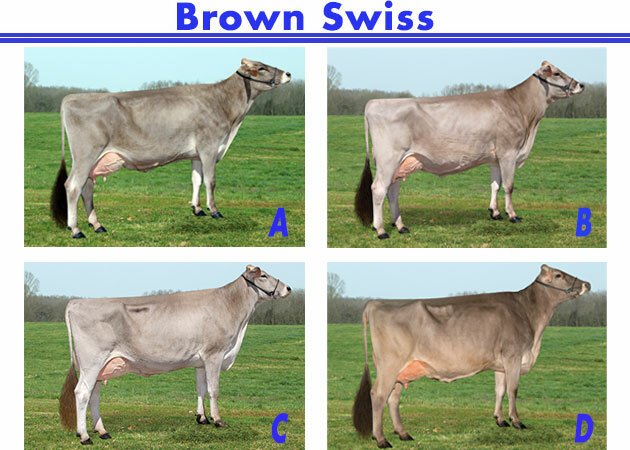 I place this class of Brown Swiss cows D-B-C-A. 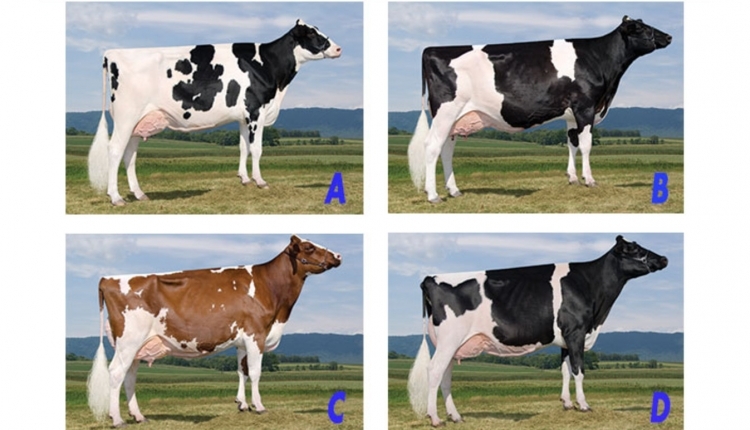 For me, D is the most balanced cow in the class and shows the best overall dairy quality among any individual in the class. 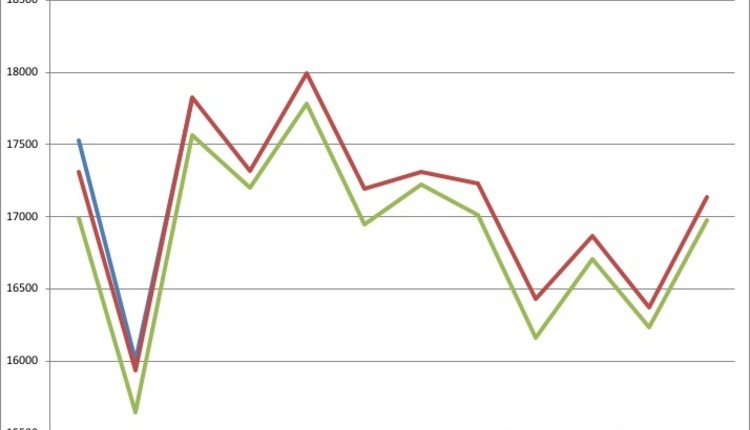 It’s this combination of dairyness and width throughout that takes D over B. She is a bit cleaner in the hock, is longer from nose to tail, and has more spring of rib when viewed from the rear. Additionally, D is more level in the udder floor and has a better blending fore udder attachment when viewed from the side. I do grant B is a bit shorter in the toe. In a closer placing, B goes over C for her distinct advantage of having more height and width of rear udder. She also has more crease to that rear udder. I do admit C has a more snuggly attached fore udder. 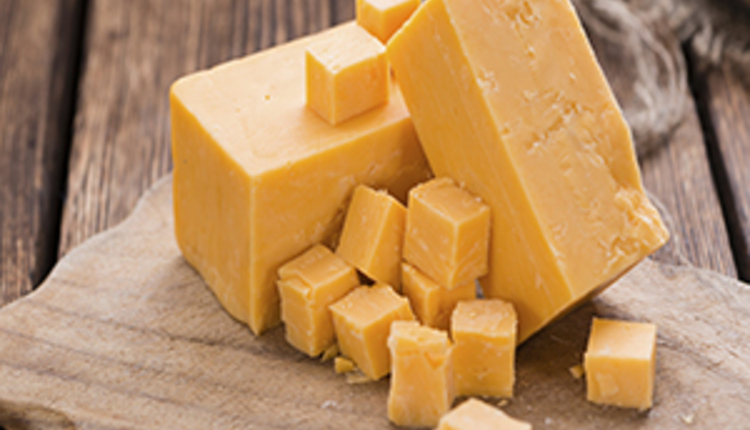 It is the length of fore udder and overall balance that takes C over A in a very logical placing. To tip the scales even further, C shows more dairy strength throughout and has a much longer and snugger fore udder attachment. 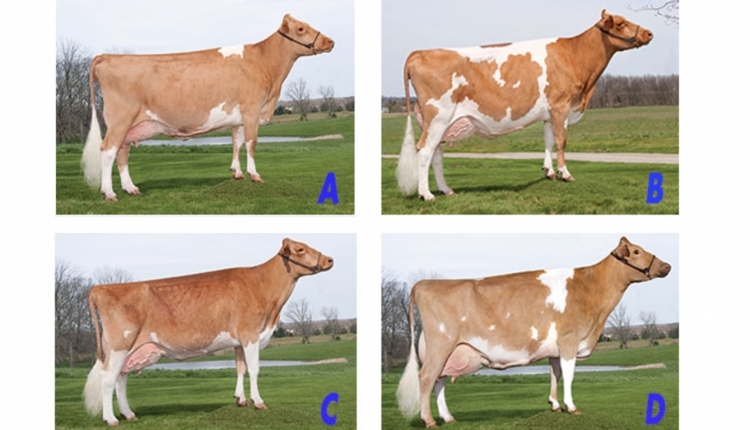 While A is an extremely dairy cow, she would need more strength throughout to place higher in this class. However, it’s a great group of Brown Swiss cows. Topp placed the BROWN SWISS. He is a partner in Topp-View Farms with his brothers Eric and Phillip, and mother, Mary Lou. 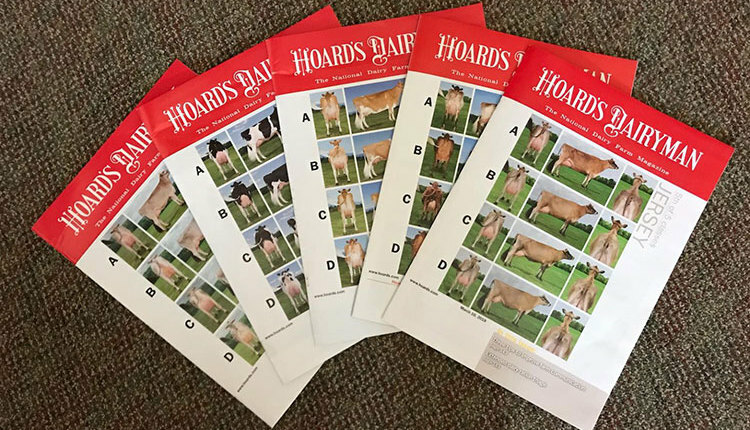 Topp-View is home to a 60-head herd comprised of all seven major dairy breeds. 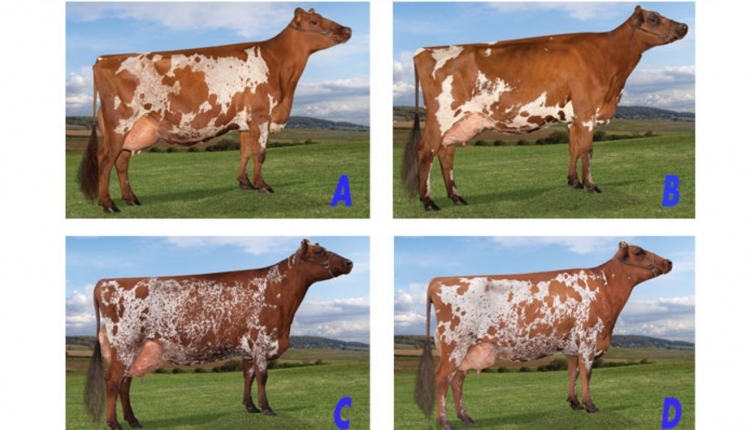 Topp-View exhibited the 1999 Grand Champion Brown Swiss, the 2005 Reserve Champion Brown Swiss, and the 2013 Brown Swiss and Milking Shorthorn champions at World Dairy Expo. Topp also bred the Junior and Reserve Junior Champion Ayrshire at the show in 2012. 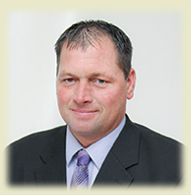 He has served as the lead official for Brown Swiss and Ayrshire at World Dairy Expo. He and his wife, Kindra, have two children.